For years, you have heard that fat in all its forms is bad for you. Eating fat equals getting fat; doesn't it? And it raises your cholesterol levels, clogs your arteries and generally speeds you faster towards an earlier grave; doesn't it? Well it is simply not true! Surrounded by low-fat milks and 'light' yogurts, diet drinks and butter-like spreads, are we getting any healthier? Are we getting any slimmer? Are there fewer people with heart problems than 30 years ago? Are rates of diabetes going down? We all know the answer here; No. ​ So what is going on? So are we just eating too much? 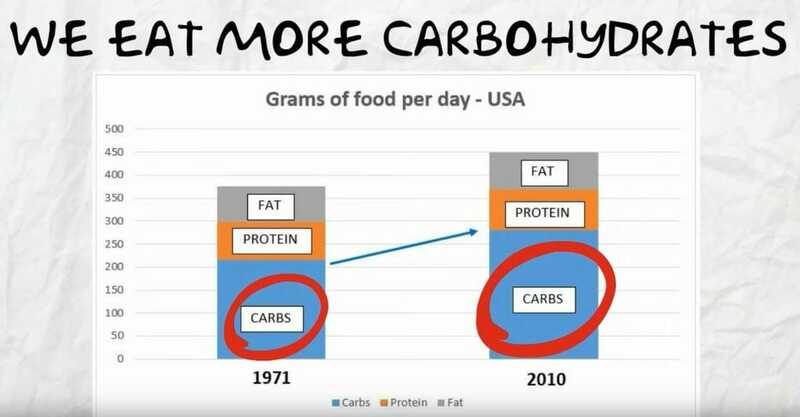 Yes, at least we eat more than we used to, but it's mostly in the form of refined carbohydrates and sugars; aka carbs. - Fat is our friend. OK but saturated fats too? - Overweight? Your fault or not? 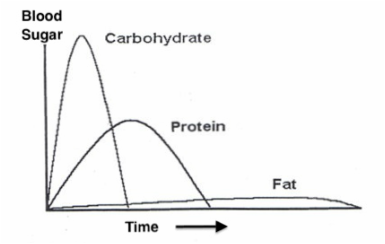 Carbs spike your blood sugar levels to a far greater extent than protein or fat. That's why a carb-rich lunch will leave you feeling tired a couple of hours later, when your energy boost has run out; and why you then get hungry, wanting a mid-afternoon snack. Carbohydrates, particularly processed flours and sugar should be eaten in moderation. But even if you're dieting and eating less, you need to replace carbs with something. 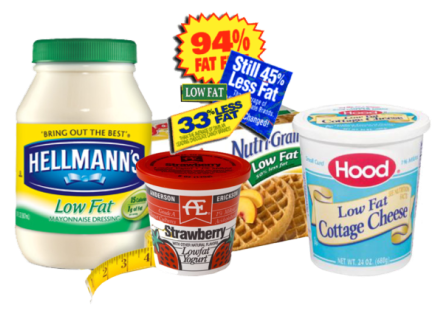 Protein provides the building blocks for the human body but too much protein is not the answer; and yet fats make you fat. Don't they? The evidence is now overwhelming. Fats do not make you fat, just as broccoli does not make you green. Dietary fat is essential to the digestion and absorption of vitamins and minerals in what you eat. Fat is your friend. 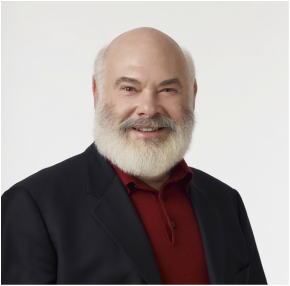 Dr Weil talks through how we got into this situation and provides his recommendations for an anti-inflammatory diet. Adopting a Low Carbohydrate, High Fat (LCHF) diet means eating fewer carbs - particularly less sugar and refined flour - and more healthy fat, surrounded by generous amounts of vegetables. 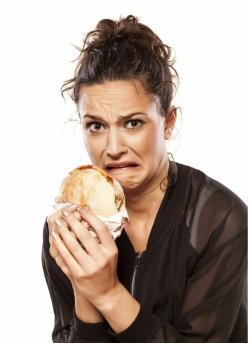 No surprise here: Although there is fat and protein in junk food, the main ingredients are usually sugars and starches... plus there are also an alarming number of modifiers, emulsifiers, artificial flavourings, preservatives, and don't forget the colour enhancers. So; junk food has to go! More natural ingredients on a daily basis will help you improve your health. A surprisingly high number of people report being gluten intolerant. Obviously, if you reduce your intake of carbs, you cut out a lot of gluten, it being found only in cereal crops - principally wheat, rye and barley. Dr William Davis in his book 'Wheat Belly' suggests that many of those people who think they are gluten intolerant are in reality wheat intolerant, mostly because the type of wheat grown today is very different from the 'give us each day our daily bread' wheat of Biblical times. Because of that, on this site, almost all recipes are gluten-free and we stick to old forms of wheat if we use any grains at all, those being primarily spelt and einkorn. Bread is so practical (and it keeps your fingers clean), but it's easier than you think to take a break - although you will require some degree of determination. This book is a good read, that's put together with lots of useful recipes if you want to start your carb-reduced healthier diet by first cutting back on wheat. ​Most of Dr. Davis' recipes are low in carbohydrates and all are wheat and gluten free.